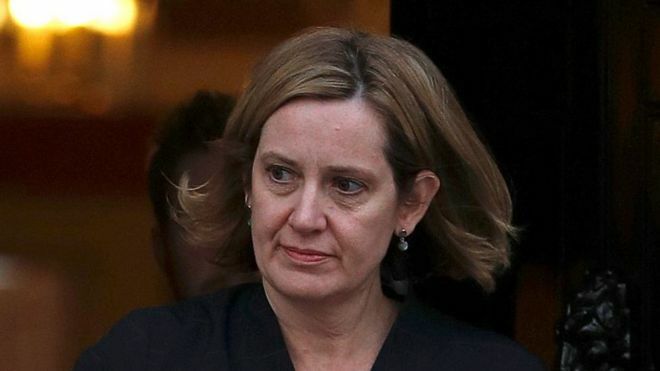 Home Secretary Amber Rudd has resigned, Downing Street has said, after claims she misled Parliament over targets for removing illegal migrants. Ms Rudd, who was due to make a Commons statement on Monday, was under pressure to resign over the Windrush scandal. Ms Rudd telephoned the prime minister on Sunday evening to tell her of the decision amid intensifying opposition demands for her to quit. Reality Check: Has the ‘hostile environment’ worked? Ms Rudd’s successor will be announced on Monday morning. The BBC’s political editor, Laura Kuenssberg, said Ms Rudd resigned because “however inadvertently, it seems she misled parliament” and “officials couldn’t guarantee there was nothing else that would have incriminated her still further”. I see Amber Rudd is carrying the can for the person originally responsible for this scandal – Theresa May. The Windrush row began when it emerged that some migrants from Commonwealth countries, who settled in the UK from the late 1940s to the 1970s, and their relatives, had been declared illegal immigrants. Reacting to the resignation, Labour MP David Lammy said: “Amber Rudd resigned because she didn’t know what was going on in her own department and she had clearly lost the confidence of her own civil servants. “The real issue is the hostile environment policy that caused this crisis in the first place. Giving evidence to the Home Affairs Select Committee last week, Ms Rudd said there were no removals targets for illegal immigrants. She later admitted “local” targets for voluntary removals had been set, but told the Commons on Thursday she had not been aware of them. But the Guardian reported a June 2017 memo from an official, copied to Ms Rudd, that refers to targets. The newspaper then published a letter, from January 2017, where Ms Rudd tells Theresa May about plans to restructure her department. She tells Mrs May – her predecessor as home secretary – that she plans to focus on the “aim of increasing the number of enforced removals by more than 10% over the next few years, something I believe is ambitious, but deliverable”.